June 23, 2013 By Ethan Johns & filed under All Articles, Gear. 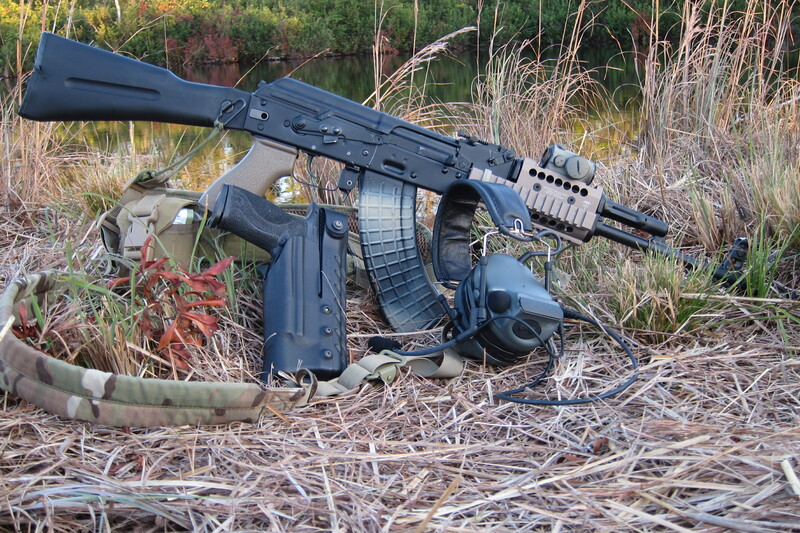 US PALM AK Battle Grip, Rail, and Enhanced Safety Lever take the Kalashnikov into the 21st century. U.S. shooters have wholeheartedly embraced the Kalashnikov rifle in the last few years, and to good effect. I have been working with the Arsenal SLR-107F rendition of the modern Russian AK 100 series (MY FIRST KALASHNIKOV, December 2012 S.W.A.T. ; D.I.Y. AK MODS, February 2013 S.W.A.T.) and was impressed by the potential of the rifle but frustrated by the limitations of the stock configuration. A trusted friend put me in touch with US PALM to see what some simple upgrades would do. US PALM has spent solid time looking at the AK problem and invested effort in bringing its potential out to become capability for shooters. I ordered some parts and stood by. When the package arrived, I had the US PALM AK Battle Grip, AK Rail machined to accept the Aimpoint T-1, and AK Enhanced Safety Lever. Installation of all three was straightforward and relatively tool-less. The safety lever pin was slightly oversized for the Arsenal receiver and required about half a dozen light strokes of a file to fit, while the grip installation was as simple as unscrewing the dinky original and torqueing the enhanced pistol grip onto the receiver. Breaking down the handguards and removing the top handguard from the gas tube prepped the rifle to receive the US PALM/Midwest Industries rail. The lower rail securely clamped onto the barrel and the top rail, with the T-1 mounted directly into its dedicated space, nestled over the reinstalled gas tube to attach to the lower section. Pretty simple. PALMed-out AK is ready for hard use against any carbine task. The grip has a very similar profile to the popular TangoDown Battlegrip for ARs, with identical weatherproof storage inside the grip. The enhanced safety uses the typical stamped steel AK lever with a shelf riveted on to provide a ledge for the right trigger finger. I thought that the lever might be accessible to the left thumb to make it somewhat ambidextrous, but found that it was out of reach. The rail is a 6061 aluminum piece with laser “T” marked rail locations. The top cover dispenses with straight Picatinny sections to provide a centered mortise machined to accept a specific red dot sight, in this case the T-1. Additional top covers can be purchased for most of the popular mini red dots as well as the Aimpoint M2. 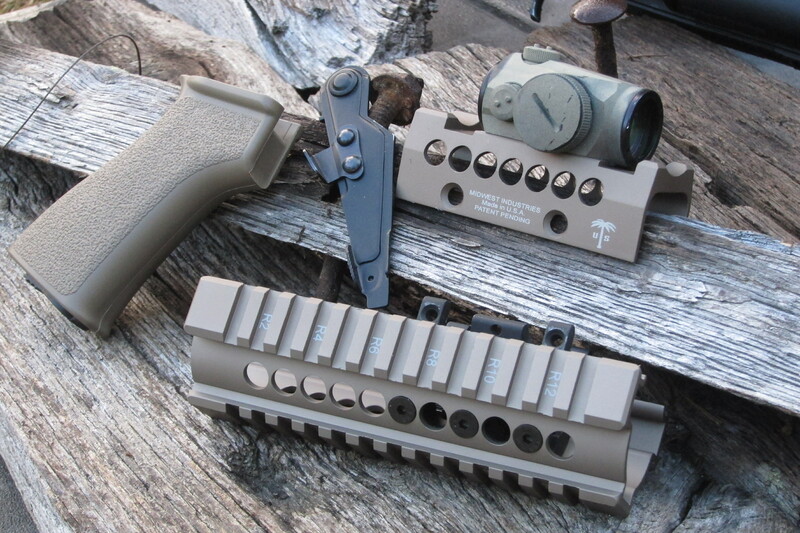 The rail is an attractive Flat Dark Earth color that matches well with the grip and FDE US PALM magazines. The upgraded rifle felt great. It was familiar, yet different. The handling hinted at the best of the Kalashnikov while suggesting some M4-like qualities. I had been concerned about whether the rail was going to be long enough for my stance and if a vertical foregrip would be necessary. In practice, the rails extend out about as far from the shooter as nine-inch rails do on an M4, and the 1913 sections provided low-profile traction that completely changed how my support side was able to interact with the rifle. With my hands effectively “sticking” to the rail, I was able to apply just enough more control to balance out the rifle in the manner I am accustomed to with ARs. US PALM accessories easily replace stock AK parts. The rifle balanced well. The slight weight of the red dot was no issue over the handguard and it rode low, adding very little height to the rifle. The top cover mounts the Aimpoint T-1 in a lower third co-witness with the sights readily visible in the bottom of the tube, but not obtrusive at all. Even better for my tall frame was that the dot came naturally to my eye centered up, where I usually have to dip slightly with a natural cheek weld to get sight alignment with the irons alone. 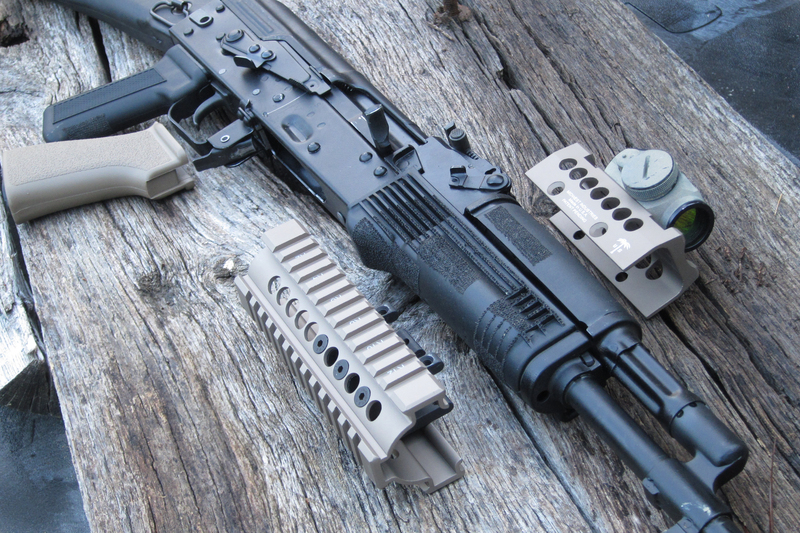 The top cover does not provide any Picatinny rail slots for other accessories, and the dedicated mounting requires the shooter to more or less commit their optic to the rifle. 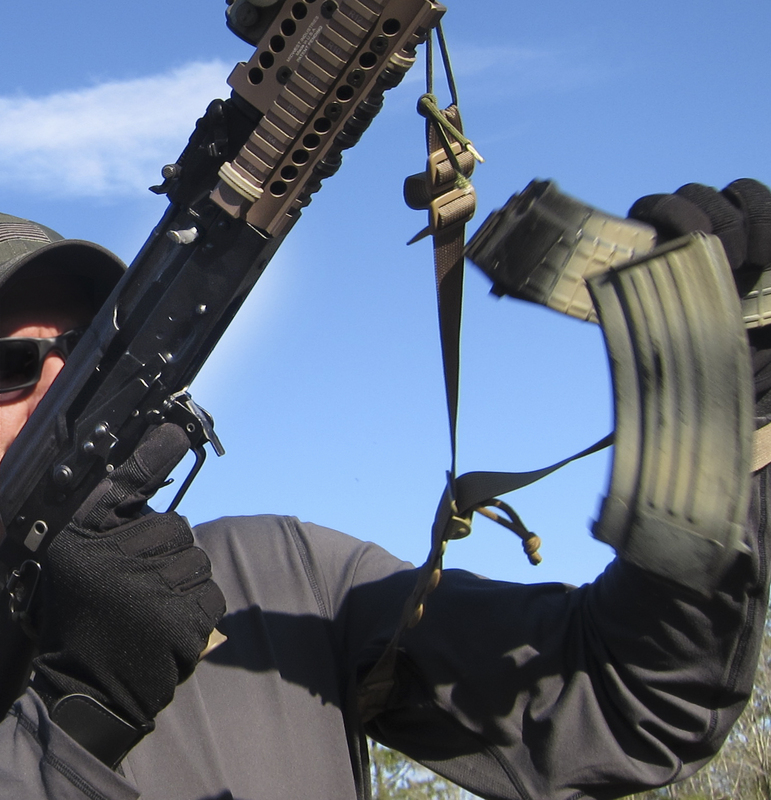 Accessories give shooter greatly improved handling and control over the rifle. The pistol grip was a “Eureka!” experience. I’ve used the somewhat similar TangoDown AR Battlegrip on many rifles, from ten-inch SBRs to 20-inch M16A4s and M14-based EBRs. I enjoy that particular grip, so was hopeful that it would do something good to the AK. It did and then some! I suddenly had control with the firing hand where before I had something to “kinda” hold onto. Pulling the weapon in tight to reload from the shoulder or to aggressively get into or out of prone had been less than ideal even with a stippled Kalashnikov grip. With the US PALM grip in place, I could easily maintain the rifle in whatever orientation I wanted while the support hand was reaching for a fresh magazine or breaking the fall to prone. The additional backstrap material on the new grip provided much better resistance to the trigger as it was pressed while giving a slight and, to me, improved angle to the roll of the trigger. At the range, I zeroed the red dot and then shot some groups and drills from prone. The PALMed-out AK ran circles around my previous performances. Any concerns that the handguards being clamped around the barrel would affect accuracy disappeared. 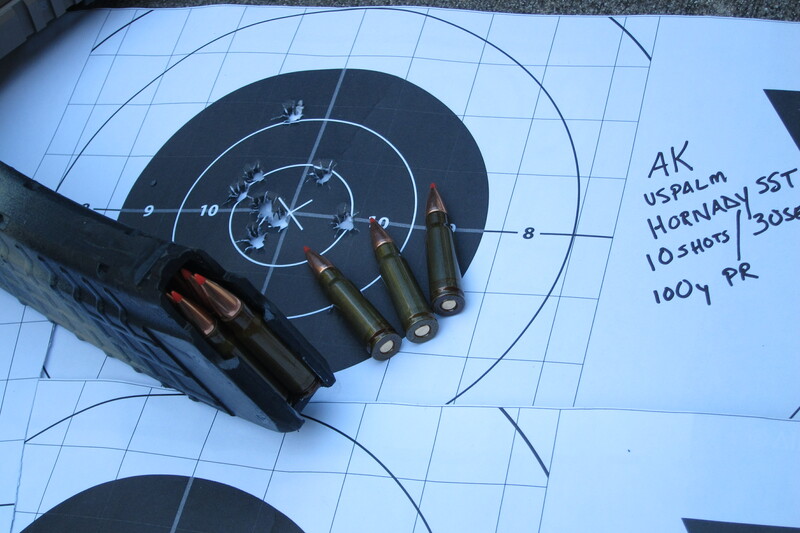 Inch-and-a-half groups with Hornady 123-grain SSTs were easy. I printed one .32-inch cloverleaf that I would have been proud of shooting from a precision rifle with a magnified optic and was amazed to get from an AK with a red dot. Firing ten shots into a 5.5-inch bull at 100 yards in 30 seconds, the rifle stacked round after round into the ten ring and all in the black time after time. With the stock irons, it had been hard to see that size bull around the fat front sight peg and tougher to hit it, so I had resorted to eight-inch bulls and even then was typically slipping two or three rounds out of the black in twice the time. 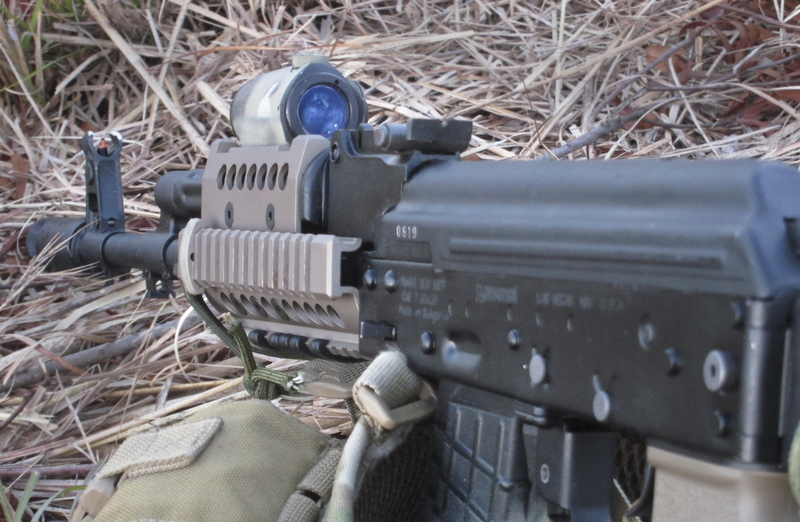 Aimpoint T-1 is mounted directly to rail’s top cover, providing visibility of iron sights in lower third of optic’s view. Backing off to 200 yards, the dot allowed great target discrimination. Shooting seated with the rail supported on a barricade, the AK pounded SSTs into the A zone of silhouettes. Once I figured out the slight holdover, I was getting nearly one-for-one hits on an eight-inch round steel plate. While those hits might have been possible with the SLR-107F before the mods, in my hands they weren’t likely. 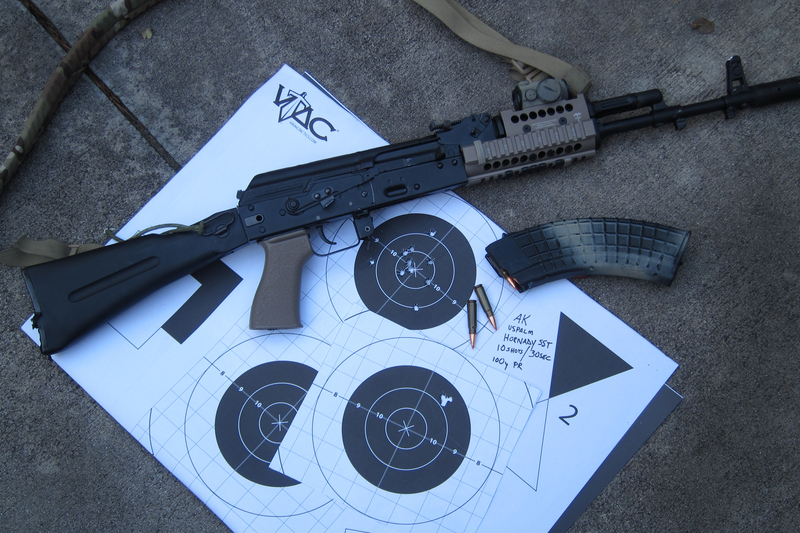 I had chosen the Arsenal AK in part because of the cold hammer forged, lined barrel, and the US PALM kit was letting me shoot to the potential of the rifle. Battle Grip allowed positive control of AK during reloads and while using support hand to break fall or push out of prone. Stepping up to 50 yards, the modified SLR dropped ten seconds from my stock gun times for ten shots kneeling to the B8 target—21.6 versus 31.8 seconds. The improved control offered between the grip and rails, coupled with the natural speed of a red dot sight, made a stark contrast and 32% increase in speed. Up close, the enhanced safety lever made presentations from ready much faster, since I was able to simply swipe the lever with the index finger as it moved toward and onto the trigger. Manipulating the stock lever had been an over 1.25-second affair, and doing some DIY work on the lever had cut that down to .90. The US PALM lever further cut that figure to .69 average, not quite at the roughly .5 second you expect with an M4, but much more comforting and likely to come down further with additional practice. Perhaps equally useful was the ease that the safety lever allowed the weapon to be placed back onto safe. As the finger came off the trigger, the shelf of the US PALM lever was right there to activate the safety. In practice with the standard safety, I had found myself choosing to move in aggressive drills and scenarios with the weapon on fire rather than surrender control of the weapon to break my firing grip and apply the safety. One complaint is that the enhanced safety lever’s shelf has hard edges with little contour and could be uncomfortable in extended use. At ten yards, the rifle ripped ten shots into another 5.5-inch bull—the same five-second M4 standard drill that the stock gun had taken 6.25 to finish and that I had gotten down to 5.75 with some mods of my own. The US PALM additions cut the time dramatically to 3.75 seconds to tight, confident hits—a 40% decrease over stock performance. Combination of red dot sight and better handling resulted in impressive accuracy in practical drills. To put it all together, I ran the 60-second blitz—a drill created for a special unit that combines all the carbine qualification skills into a continuous running drill on multiple targets from 50 yards all the way to the target—firing 25 shots in 60 seconds or less. The modified AK allowed me to charge through the drill in 44 seconds with great hits, in the bracket of where I have shot it with SOPMOD equipped M4s, even despite the slower AK reload. There is not much more to ask for in a close-range rifle. Stock and lightly modified runs had hovered around the cutoff times on this very telling drill. This is not the same rifle it was before the mods. Not only can the rifle now mount a light or other worthy accessory, but I am also now able to hit any target I can reasonably expect to hit with a red dot equipped rifle. I had expected a performance boost but was genuinely pleased with the level that resulted. The parts literally added 150 yards and another gear to the rifle’s capability. Inside of 250 yards, there probably isn’t a shot that I can make with a quality AR that I can’t now make with the US PALM AK. And the speed is right there with the AR as well, in all scenarios except rapid-fire prone, where the drop of the AK stock allows the rifle to rock some and costs a little recovery time as compared to an M4. The AK reload is a downside to the system if you are focused on emergency reload speed as a primary selection criteria, but the AK gives you the upside of much more robust magazines that seat positively. For many shooters, the .300 AAC blackout in an AR is all the buzz right now, with shooters interested in getting 7.62mm Russian performance from an AR platform. An alternative solution may be to take a quality AK-pattern rifle and add similar US PALM solutions to get M4-type performance out of a rifle shooting readily available ammunition. I had experimented with a Colt 7.62x39mm AR sporter in the late 1990s to try to get .30-caliber performance out of the M4 platform, and it was a mixed bag. It was nice to get the horsepower in the familiar chassis, and it was useful as a deer-hunting brush gun, but it was neither reliable nor fit for hard use. It was also acceptably accurate but not particularly so. With the US PALMerized SLR in the safe, that Colt is now up for sale. Hornady 7.62x39mm SST is a high-quality American-made service round that offered consistent accuracy beyond what is associated with AKs. The AK’s 7.62x39mm round has a well-deserved reputation for penetration and defeating intermediate barriers. The flip side of that strength is a tendency for the standard FMJ projectile to, well, penetrate. The bullet does not yaw or tip over to tumble toward base first upon impact nearly as rapidly as the 5.56 rounds we are likely more familiar with. It is often out of the typical body width before significant tumbling occurs, and most of the common military-style FMJ rounds hold together through this turn, whereas NATO rounds often fragment at close-range/high-impact velocities. 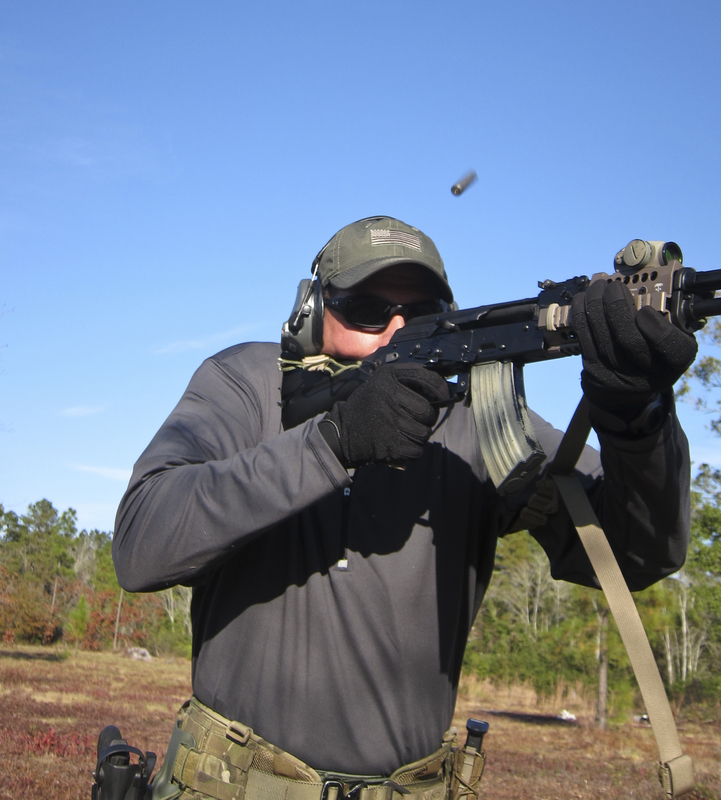 A lot of folks have been shot with the AK in the last ten years, and non-vital hits are often pretty forgiving. I have seen firsthand 7.62×39 injuries that were so simply through and through that they were unremarkable and had very little effect on the casualty other than causing him to slow down and seek aid. Hornady’s 7.62 loading provides an alternative. In addition to being an accurate American-made round assembled to proven quality-control standards, the Hornady SST is designed to expand. Third-party testing has shown the round to consistently exceed the often recommended 12 inches of gelatin penetration, while expansion and fragmentation are rapid and violent. One of the rounds I fired separated into a .58-caliber primary core, expanded jacket, and multiple lead and jacket shards totaling an approximate recovered weight of 100 grains. This round is undoubtedly less capable in reducing block walls or heavy cover than the FMJ, but it still carries 7.62 momentum and expands with the best contemporary LE rifle loads in Western calibers. This provides shooters the option to go for maximum effect with the SST or seek penetration with the standard FMJ loading and its near-indestructible bullet.